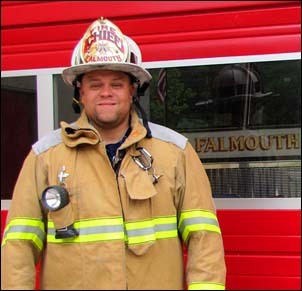 The Morning Pride Hi-Visibility Utility Glove is being reviewed by Chris Smith, Fire Chief of the Falmouth (Virginia) Volunteer Fire Department where he has been the chief for ten years. He also works as a firefighter in a large, metropolitan fire and rescue department, currently assigned to a Rescue Squad unit where he has been testing the gloves. I have been testing the Morning Pride Hi-Visibility glove for nearly a month and have been very happy with their performance. These are not firefighting gloves, but designed for other emergency work such as rescue operations. They are made of a synthetic leather and neoprene with cut resistant fabric and a Kevlar inner lining. I have used these gloves on auto extrications, rope rescue incidents, and as my primary utility glove on many other emergencies. 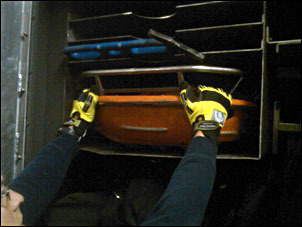 The glove has performed exceptionally well on the auto extrications and rope incidents by providing excellent dexterity. 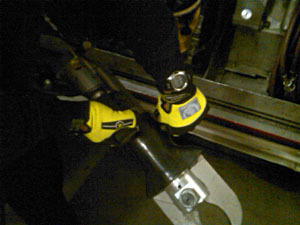 Handling and operating tools is easy with no fumbling around. They are easy to put on and take off, too. No delays while doing that. Another benefit is the high visibility color and strategically placed reflective material that adds to safety while on busy urban streets. The only drawback to the glove is the lack of breathability with the glove. After long uses it tends to increase sweat production inside the glove but even with that it does not affect performance negatively. 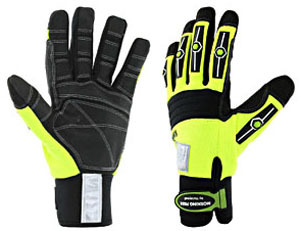 I would recommend the Morning Pride Hi-Visibility Glove to anyone looking for a good glove at a minimal cost. I will continue using it as my primary glove at work. Like this review? Want to check out the gloves in more detail? Then click here to get shopping!